Research assistant at Harvard University – Graduate School of Business Administration. Michele Costabile is professor of Management and Marketing at the LUISS “Guido Carli” University in Rome, where is also Director of the Master of Science in Marketing. Formerly he taught for more than 20 years both at the University of Calabria (Arcavacata – Cosenza, Italy), as assistant, associate and full professor, and at SDA Bocconi School of Management in Milan, as adjunct professor. He has been a visiting scholar at Northwestern University – Kellogg Graduate School of Management – and research assistant at Harvard University – Graduate School of Business Administration. He is author and co-author of many books and papers published in Italy and abroad on Journal of Marketing Research, Journal of Service Research, Journal of Interactive Marketing. 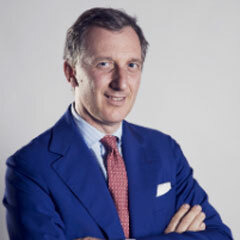 He served on the board of the European Marketing Academy as the Italian Nation Coordinator (2000-2004). Michele Costabile has been Deputy Rector of communication and student counseling and graduates placement at the University of Calabria (1997-2007), where also directed the PhD program in Management (2004-2007). He supervised the Summer School Program on Research Methodology in Management and Social Sciences (2006-2012) offered by SDIPA (the University of Calabria’s School of Management) at Arcavacata Campus (Cosenza – Italy). He served as President of SDIPA and Chair of the Council of the University of Calabria Centre for Visual and Performing Arts for almost 5 years. He has also served as Director or Chairman of the Board in several high-tech companies, and as CEO at Principia SGR (2010-2012), the leading venture capital company in Italy until he has been the Chairman of the Board (2013-2014). He co-founded Techgarage Association, involved in organizing business plan contests in Italy and promoting innovation and entrepreneurship. He has been also an active member of AIFI (Associazione Italiana del Private Equity e Venture Capital – www.aifi.it); member of the Scientific Commitee of Venture Capital Monitor (VEM), the Italian outlook on start-ups and venture capital; member of the CNR (National Research Council) Spin Off Committee; and member of the Vigilance Committee on the communication and marketing practices at Netcomm. He is serving the Invitalia-MISE (Italian Minister of Economic Development) in allocating funds to support start-ups (Smart&Start project), and chairing the Board of Directors at Altilia, Eco4Cloud and Sounday, three start-up companies venture-capital backed.